On May 2nd, 2017, over 14 million people found out if they won the 2018 U.S. Green Card lottery. This lottery process is sometimes known as the diversity visa lottery. Although over 14 million people applied for a green card, only about 50,000 people will receive one. There are many ways that someone can qualify for the lottery but we dissected what you need to win the lottery. Two years work experience in the past five years, and your work experience must be in a job that the U.S. Department of Labor’s O*NET system categorizes as Zone 4 or 5 and has a Specific Vocational Preparation rating of 7.0 or higher. A high school degree in a program that is comparable to the United States’ system. The State Department of the United States has listed all of the qualifications. When applying for the U.S. Green Card lottery, it is super important to hire an immigration lawyer because you may only have one chance per year to apply. The number one reason that green card applications are denied is that the applicator tried to fill it out themselves and made a mistake which disqualified them. Hiring an immigration lawyer eliminates any errors that could be made on an application. Once the winners of the lottery have been contacted that they will receive a green card they may bring their immediate family into the United States with them. The family must move within six months after finding out that they won the lottery. After winning the lottery, there are many other steps in starting a new life in the United States. Winners must provide the required paperwork and undergo an interview at their local U.S. consulate or embassy. Although the process can be quite robust and full of stressful paperwork (unless you hire an immigration lawyer), if you do win a green card, you have a chance at a whole new life. 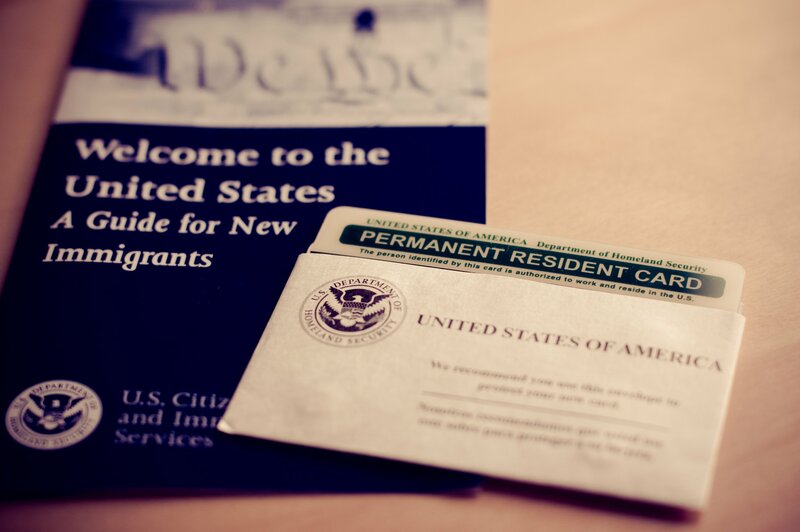 Were you denied a green card? We may be able to help! What do you think is the greatest thing of receiving a US green card? Comment below, we want to hear your opinion! The process seems simple and clear. I appreciate the information provided. How do I get agood immigration lawyer. Thank you for contacting us at VisaPlace! We are happy we could provide insight into the immigration process. Our lawyers and consultants here at VisaPlace would love to assist you with any further immigration inquiries you may have. Hiring an immigration lawyer will help you get answers to all of your questions, plus it will increase the chance of getting a visa approved. Please, complete this form for me http://www.visaplace.com/immigration-assessment/ it is just a quick and easy way for me to learn more details about your situation so that I will be able to advise you accurately and determine the best avenue for us to take to give you the best legal advice.